but after i see the list …. nah, see what i see? it’s impossible again for me to join this season because of those cities on the list above. I mean i can’t go to Mie, Niigata, Ishikawa … etc etc because i know nothing about those cities. Considering the last time i went to Japan, it took me forever to go to Yoyogi National Gymnasium from my hotel in Shibuya. noi : or what if somebody kidnap me …? 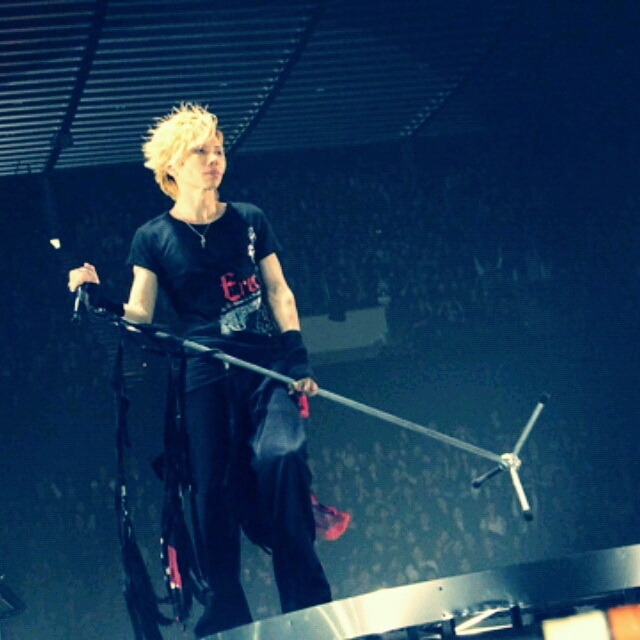 yasu : so nobody want to kidnap you. Am i clear ..? so i think i’ll wait for the next season. From the whole 5 seasons, there’s still 3 seasons left anyway. That’s why i said to Dottie : We will go there Dot, no matter what season. Maybe i’ll join season 3, 4 or 5 who knows. 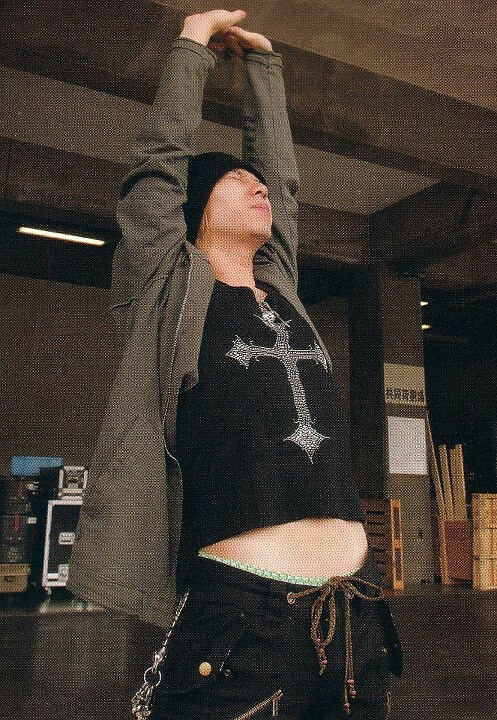 Nobody knows, I dunno and so does yasu. 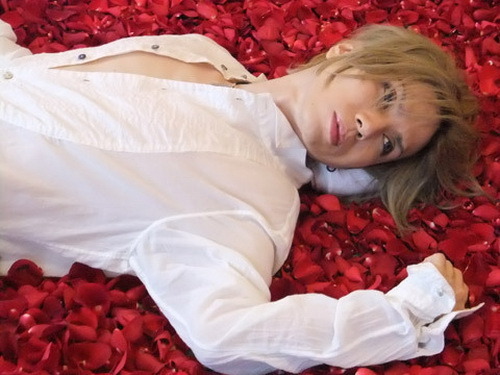 OMG look at him, yasu he looks gorgeous isn’t he? and btw this is something that i want to ask since i got my 『Recreation 3』 Album. Ha ha yeah, this is very silly question ne. Since it’s a silly question i didn’t ask this to Christine or Steffie who was at Yoyogi together with me. 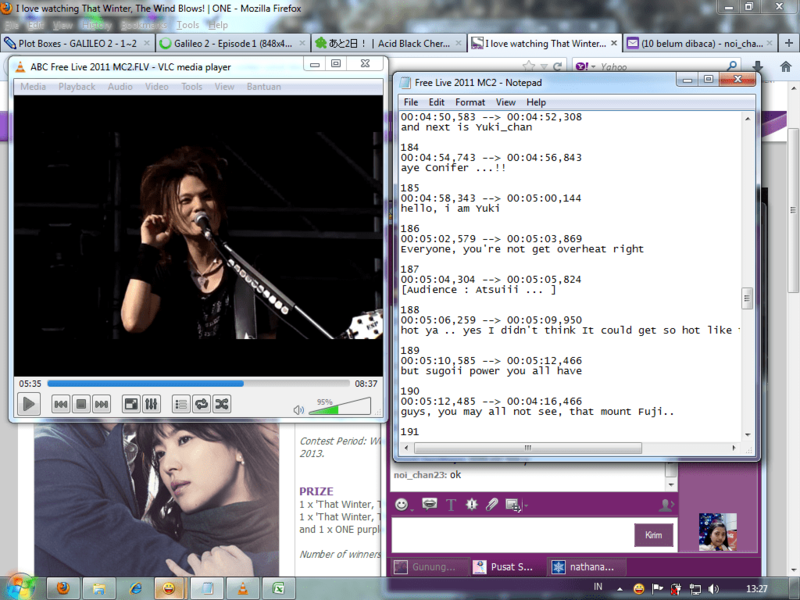 Am i the only one who’s tryin to find myself on this 「1/3の純情な感情」 PV ? i dunno why did i do that ne, so when i received my copy on 『Recreation 3』 Album i spent my after lunch at office do nothing, but look at that PV carefully while wondering and hope if maybe, i said maybe i can see myself there…. what textbook narcissism of me ne, or you may say as a fool, but that’s what i did. 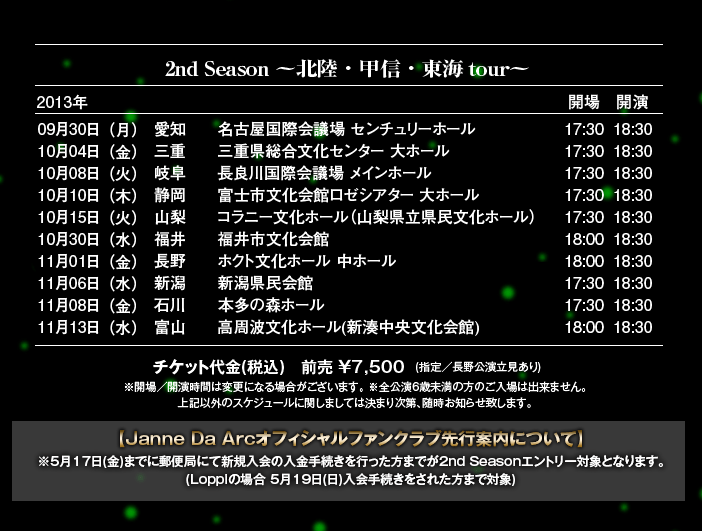 Not only that, i also tried to find my other-self on the L’arc World Tour DVD – Jakarta Pamphlet. Who knows ne i can see my self captured there together with all the audience. 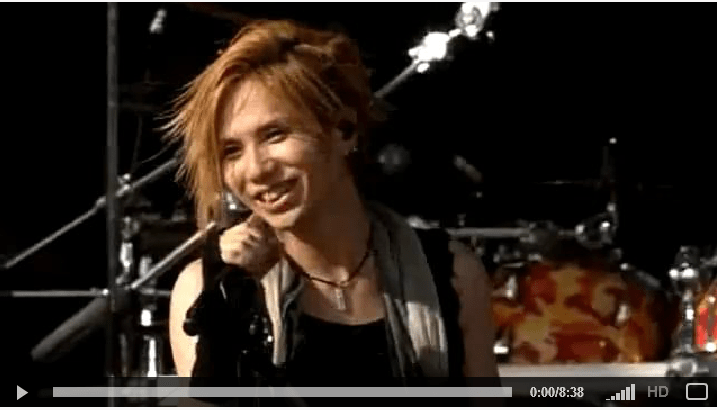 yasu : did you see yourself on the PV? yasu : on the phamplet? what is something you want to eat now? mind reading game, telepathy? 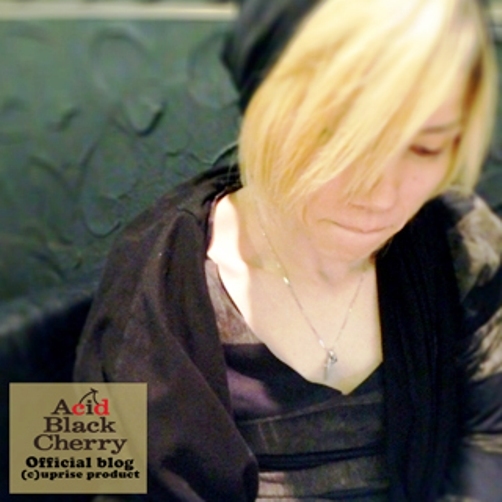 ha ha OK 【Team Acid Black Cherry】 , that’s quite interesting ne. 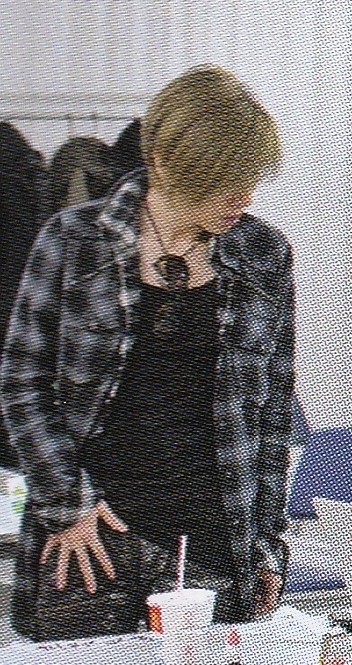 And then i bet when he (read :yasu) wrote that, he is hungry ….? yasu : do you think so? yasu : because you are always hungry? this is my promise and i haven’t get a chance to buy that for her. I think this week is the perfect time to buy that, because next May 2nd is Her Majesty The Drama Queen (read : my mother)‘s birthday. A new phone as a birthday gift, that would be perfect. even i know exactly what she is gonna say to me : Boo, if you just give me the money that would be better. Yes, money and money. Like mother like daughter, she loves money just like me. Money makes her smile .. Even sometimes she is a bit dramatic about that. Like when she is run out of money, she never ask me directly like : Boo, i don’t have any money now … like that. I give her monthly to run the house. But sometimes there’s another things to buy/pay. Then she always talk to me on our dinner start by mention all things she bought with the money i gave, complete with the price plus how things are expensive recently rambling… etc etc and many more but not sayin there’s no money left now. the scene that i am talking about is when Miss Potts almost caught in the act by Tony‘s wicked uncle Obadiah Stane when she was on her way of downloading all the hidden contracts/project of Obadiah. i was not that fast, so he still saw that and said : you’re so busy, moi …. what else i can say but : yes, he make me busy …. xD. What the hell, so i was cought on my act ne. I should learn a lot of things from Miss Potts ne. that’s not a perfect translation of course. I get lost in some parts, but i i am tellin you ne. I enjoyed a lot of being lost on whatsoever yasu may say. This thing get’s thrilling and fun to do ne. Hope you all enjoy it and there’s still 5 MC’s left and by the way busway …. am i the last person who know if Jae Min is started to date now ? 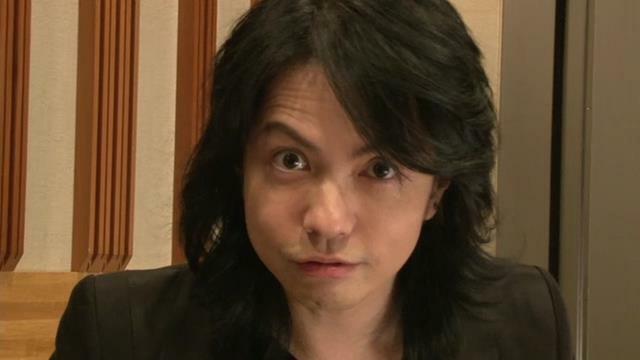 yasu : there’s nothing you should do ..